Bringing you Torah thoughts, Jewish inspiration and news about the people, programs and events that make KMS a vibrant and wonderful community. It is hard to believe that the Yomim Noraim are, once again, upon us. We are looking forward to experiencing this season with all of you. The central focus of the Yom Kippur musaf tefilla is the avodah that the Kohen Gadol performs in the mishkan. Our shul, KMS, is supposed to be a mishkan me’at. To what extent does the Yom Kippur spiritual experience today reflect the avodah of the mishkan in our mishkan me’at? JobAssist was established in Kemp Mill in 2003 to help our neighbors find jobs. JobAssist remains primarily of, by, and for Kemp Mill. We are all volunteers. Even though the economy is in excellent shape, we are still approached, on average, by one new client a week –more than 50 over the course of a year. This spring, I spent a week and a half in Poland and Prague with my grade as part of the CESJDS Senior Capstone trip. Over the course of nine days we visited multiple cities, synagogues, ghettos, and concentration camps as we retraced the journey of the Jews during the Holocaust. Yom Haatzmaut marked Israel’s 70th birthday this year, and our community celebrated Israel "mine'areinu ve'ad zkeineinu" ( from our young to our old). KMS Sure Cleans Up Nice! We recently wrapped up an exciting Mishpacha Lomedet program. Mishpacha Lomedet, Family Learning, met every other Motzai Shabbat from December through March. All KMS kids from Kindergarten through 5th grade and their caregivers were invited to participate in a hour of Torah study, theater, craft making, & pizza. This week we commemorate Yom Hashoah V’Hagvurah, the day of Holocaust Remembrance and Heroism. As members of KMS we should be proud to hear the stories below. Watch, read and share these stories. KMS member, Nat Shaffir, shared his moving testimony with The Today Show earlier this year. Watch the video below. KMS member Sabine Himmelfarb's mother, Margot Schlesinger, was one of the Jews saved by Oskar Schindler during the Holocaust. When she passed away earlier this year, the Chicago Sun Times published this moving tribute. Mrs. Schlesinger also shared her testimony with the Shoah Foundation. You can view it on the website. This Sunday, April 15 at 7:30 pm, the KMS-YISE Holocaust Committee will commemorate Yom Hashoah V’Hagvurah at KMS. Come and commemorate victims of the Shoah. View the flyer for more information. 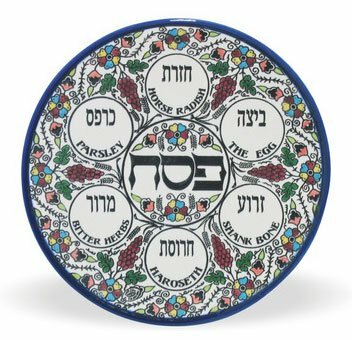 What Makes This Seder Different from All Other Seders? Do you attend daily minyan? Do you attend either the main minyan or the youth-led ruach minyan on Friday night? Do you attend one of the four Shabbat morning minyanim? Do you reconnect with friends you don’t see all week over kiddush? Do you send your kids to Bnei Akiva snif on Shabbat afternoons? Do you participate in the Women’s Tefilla Group?